Sabrac is a powerful Crimson Lord who was victorious in numerous battles against the Flame Haze. 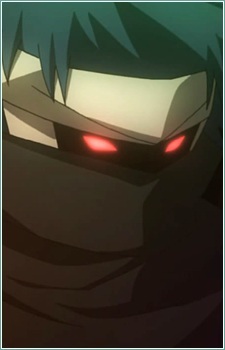 He is literally an assassin, for he is usually seen receiving requests to kill a certain target of interest; his heavily armored, face-covered, and leather-bandaged outward looks also add to the fact. He likes to make long fancy-talk speeches, and while he is seen dissatisfied many times, it is hard to see him in a wrath. His hobby is collecting bladed weapons from swords to katanas whether they are Treasures or not, and he actively used them in fights.